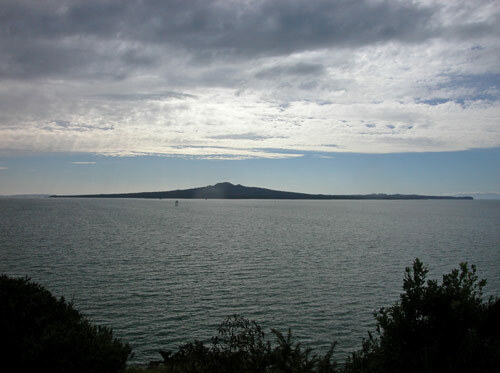 Seen here from Auckland’s eastern foreshore, Rangitoto Island dominates the horizon. Ōkahu means ‘the place of Kahu’ and is named after the Te Arawa chief Kahumatamomoe (Kahu). He lived there and at Kaipara, on Auckland’s western coast. It is through Kahu that the Waiōhua and Ngāti Whātua tribes claim links to Te Arawa. The name of Rangitoto comes from the phrase ‘Te rangi i totongia a Tamatekapua’ (the day the blood of Tamatekapua was shed) – referring to a Te Arawa defeat in a battle around 1350, at the hands of Tainui tribes at present-day Islington Bay on Rangitoto.